Organizations today depend on data from all facets of their business for decision-making, operational management, and core day-to-day transactions. IBM i (AS400) systems are a mainstay in medium to large organizations and IBM databases are often used as the core repository for production, operational and financial data. While IBM i systems are historically very reliable, they are expensive and require specific expertise for implementation and management. 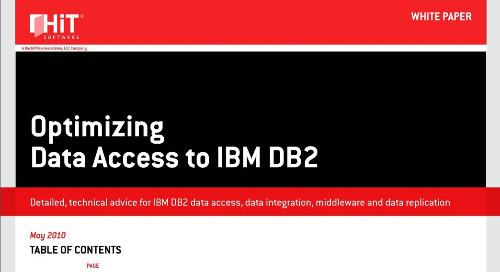 This becomes a challenge when organizations need priority access to the data stored in their IBM systems but do not want to affect the workload and processing for which the IBM system is responsible, and do not have enough trained expertise in-house to customize required data access to the IBM databases. 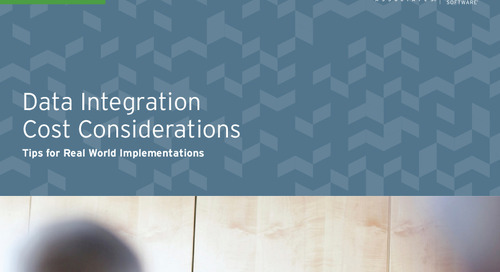 This white paper offers guidance on the use of a cost-effective, alternative database option and an adaptable data integration strategy, to make IBM i data readily available for business requirements. Taking advantage of HiT Software’s DBMoto data replication solution to integrate data between IBM i and MySQL Enterprise, businesses can reduce cost and time in managing large-scale, heterogeneous database environments, while leveraging the investments they’ve made in database and hardware systems.